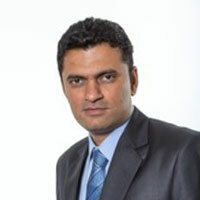 Chirag Shah serves as the Managing Director of msg global solutions Asia Private Limited with primary responsibility for leading the country operations. Since November 2015, Chirag Shah has served as the Managing Director of msg-global Asia Pte. Ltd. He is also a member of the msg-global Executive Board responsible for the APAC region. As part of his management role, he oversees sales, delivery and operations of all four country units in the APAC region – Singapore, India, the Philippines and South Korea. He has been associated with msg-global since 2009 in various roles ranging from designing solution architecture to governing large implementation programs to building innovative delivery models. He has played an instrumental role in building msg global’s offshore practices in India and the Philippines and the Insurance Centre of Excellence in Singapore. Prior to joining msg-global, Chirag managed consulting assignments in insurance space. He holds a master’s degree in Business Administration. Prior to that, he worked in the software industry as a developer. Chirag also holds a master’s degree in Computer Applications and a bachelor’s degree in science.